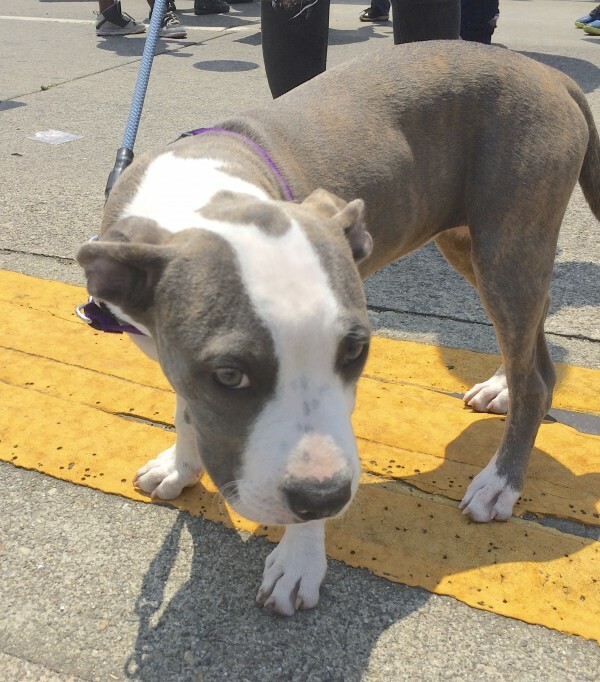 An adorable pit bull puppy for you today. I am sorry for my temporary absence. I am going through some pretty rough times right now, medically speaking, and things may be intermittent for a while yet. I will do my best to post regularly though, because sharing cute pictures of dogs is part of what keeps me sane, especially in trying circumstances. The sidelong glance. It usually means ‘oh yes, there will be smooches’. 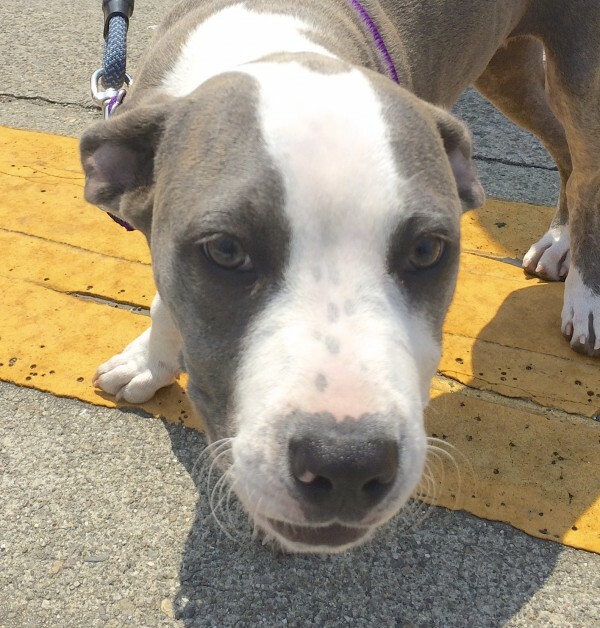 This entry was posted in Dog of the Day and tagged American Pit Bull Terrier, Oakland, Puppy. Bookmark the permalink. I hope that you are having more good days than bad. If only you could be fixed by dog smooches – sigh. Now that I have my doctors actually taking me seriously (actually, they’re kind of humoring me, but that’s good enough) I think I’m going to be all right. We shall see in the next two weeks. Sometimes it’s hard to make doctors listen – hope all gets better from here on. Sure is. And I hope so too… feeling pretty good today, at least.